The Language, Epistemology, Metaphysics and Mind Research Group welcomes Amie L. Thomasson, professor of philosophy at Dartmouth College. She specializes in metaphysics, metametaphysics, philosophy of art and literature, phenomenology, and philosophy of mind. 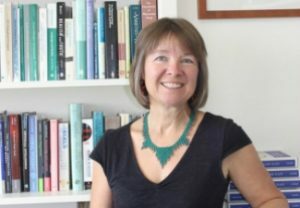 She is the author of three books: Ontology made Easy (Oxford University Press, 2015), Ordinary Objects (Oxford University Press, 2007), and Fiction and Metaphysics (Cambridge University Press, 1999).